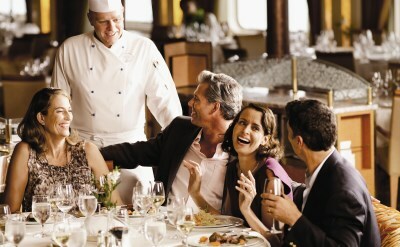 Silversea offers cruises from Fort Lauderdale to the Eastern Caribbean, Western Caribbean, South America and Europe. They include annual Christmas cruises. This is authentic luxury; simply the best the world has to offer. Have every desire fulfilled, explore exotic ports, and let romance bloom on a Silversea cruise out of Port Everglades. Designed to be your home upon the oceans of the world, Silversea's ships welcome you to relax in elegant luxury. 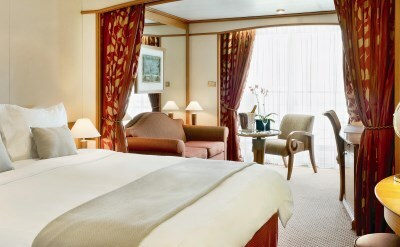 Silversea ships are all ocean-view and all suite. While spacious in feel and appearance, each of the ships is small in comparison to mass-market vessels, making them easily docked in less-travelled, more enticing destinations. Read some Silversea cruise reviews. Silversea is one of the all inclusive luxury cruise ships in Fort Lauderdale. April 2, 2019: 13-day cruise to Europe on the Silver Spirit. One-way from Fort Lauderdale to Lisbon (Portugal). Visit Hamilton (Bermuda), Horta (Azores) and Ponta Delgada (Azores). April 10, 2019: 9-day Western Caribbean cruise on Silver Wind. Round-trip from Fort Lauderdale to Cozumel (Mexico), Belize City (Belize), Santo Tomas (El Salvador), Trujillo (Honduras) and Key West (Florida). April 19, 2019: 11-day Eastern Caribbean cruise on Silver Wind. Round-trip from Fort Lauderdale to Tortola, St Barts, Guadeloupe, Antigua, St Thomas and Key West. April 30, 2019: 16-day cruise to Europe on the Silver Wind. One-way from Fort Lauderdale to London (England). Visit New York, Halifax (Nova Scotia), St John's (Newfoundland) and Cork (Ireland). 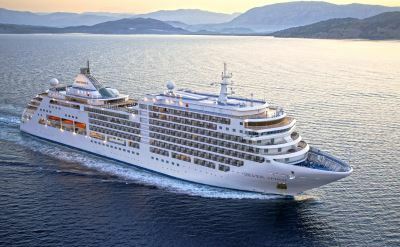 October 11, 2019: 19-day cruise to South America on the Silver Cloud Expedition. One-way from Fort Lauderdale to Lima (Peru). Visit Harbour Island (Bahamas), Conception Island (Bahamas), Providencia Island (Colombia), San Andres Island (Colombia), Boca Del Toro (Panama), Colon (Panama), Panama Canal, Quepos (Costa Rica), Golfito (Costa Rica), Isla de La Plata (Ecuador), Machala (Ecuador) and Salaverry (Peru). November 22, 2019: 14-day Eastern Caribbean cruise on Silver Whisper. Round-trip from Fort Lauderdale to Tortola, St Maarten, St Barts, Guadeloupe, Barbados, Dominica, Antigua, Puerto Rico and Key West. December 6, 2019: 14-day Eastern Caribbean cruise on Silver Whisper. Round-trip from Fort Lauderdale to Grand Turk, St Maarten, Dominica, Bequia, St Lucia, Antigua, St Kitts and Puerto Rico. December 17, 2019: 10-day Christmas cruise on Silver Wind. Round-trip from Fort Lauderdale to Grand Turk, Tortola, Antigua, Guadeloupe and St Thomas. The ship will be at sea on Christmas Day.